I remember a championship I won in 2016 on my leased horse Andy. It was a one-day county show, and I competed in the 2’3” green rider division. From the get-go I was sick with nerves. Oftentimes when I’m nervous, I’m better after getting on and flatting, and totally fine after the first jump. Not this time. At every jump I had a mental battle with myself. I desperately wanted to pull out, pull up, pack it up, go home, curl up in bed and never ride again. Even in my flat classes, which are usually my strong suit, I was convinced Andy was going to spook, and I was going to die. Despite his rider being on the verge of mental collapse, Andy piloted himself to several blue ribbons. (I’m not being modest here; I’m more than willing to acknowledge when I rode well. This was not one of those times.) Then they announced me as division champion, and my trainer and friends cheered and congratulated me. But I didn’t feel like a champion. I felt like an imposter. Fast forward to just recently, the last show of 2017, and I entered the Ariat Adult Medal, a long-time goal of mine, on my horse Kingston. I was confident and feeling positive despite it being our first time showing at 3’. However, Kingston woke up on the wrong side of the stall and began snorting at everything as we trotted in. Then he didn’t like the first distance—which was fine, thank you very much—or the second, which was a little close, but his 18.2-hand self could have easily cantered us out in the requisite six strides, had he not been tensing every muscle in his body. I circled out of that line and ultimately tipped my helmet and excused myself. The class was a total fail from the perspective of any onlooker, and certainly from the judge’s booth. But I felt a tremendous sense of accomplishment, a feeling that I had just done something I never could have done before. There’s no doubt that walking out of the ring after falling, being eliminated or retiring is never a good feeling. You feel like you wasted the judge’s time, you’re nervous about what your trainer is going to say, and you know people are looking at you with pity, at best, and with disdain at worst. But this time all those things seemed inconsequential compared to the fact that I wasn’t mentally panicking. My face felt like a normal temperature. I didn’t even get nervous-sweaty. And that, ladies and gentlemen, felt like a win. When I look back on 2017, what I’m most proud of isn’t winning a class or moving up in height. Rather, it’s the time Kingston was a wild turkey, and I continued on anyway and finished because I knew I could. It’s also the time he was a feral moose, and I pulled up not out of panic, but because it was the smart decision. It’s the time my mare Aria unexpectedly stopped on course in a class I’d been looking forward to for months, and I put my brain to work figuring out how to give her a better ride, instead of giving in to disappointment. It’s the time I fell off in the warm-up ring but got focused enough to ride respectable rounds minutes later. I’m naturally competitive; I love winning. I never leave a horse show without collecting my ribbons, and I especially covet tricolors and ribbons with extra long tails or extra fancy rosettes. But I’ve noticed they just don’t shine as brightly if they feel undeserved. And sometimes, the feeling you get for accomplishing something they don’t give ribbons for is the best prize of all. Lindsey Long lives in Southern California with her one tabby cat, two Great Danes, two hunter-jumpers, and a husband. She recently returned to riding after a 15-year hiatus and is desperately trying to make up for lost time while balancing a full-time job rife with deadlines. Her goals include winning pretty ribbons, finding appropriate distances with some degree of consistency, and not losing her breakfast at the mere thought of a hunter derby course. 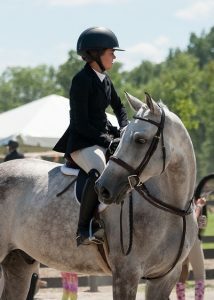 Huge congratulations to Amelia Magel on her purchase of the fabulous Grasshopper! Thank you to Mandy Topping and best of luck with him! USEF announced that it has resolved the litigation with Kelley Farmer and Larry Glefke for their alleged July 2016 GABA violation. USEF is voiding the proceeding from the outset and vacating all penalties and suspensions, thereby restoring Farmer and Glefke to active membership effective July 1, 2017. They are free to enjoy all privileges of membership including participation in competition. 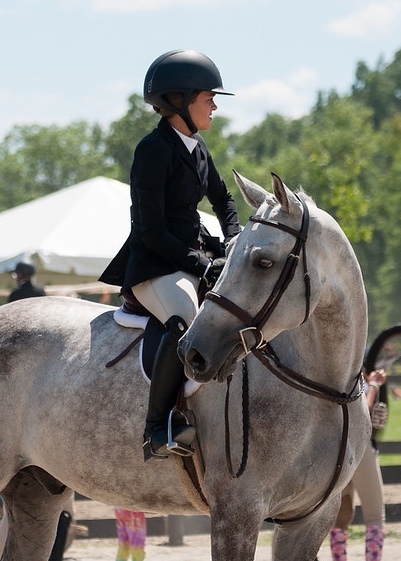 In January, Farmer and Glefke were suspended and fined after Farmer’s Unexpected tested positive for GABA at the Kentucky Summer Horse Show in a pre-green hunter 3’3″ class on July 28, 2016. Glefke was identified on Unexpected’s entry blank as the trainer. Farmer was identified as Unexpected’s owner and rider. Larry Glefke received a 24-month suspension and a $24,000 fine; Farmer received a 12-month suspension and $12,000 fine. Farmer and Glefke filed a complaint with the U.S. Olympic Committee, which was later dismissed. Then, on Jan. 4, the USEF lifted the suspensions pending further arbitration. “The USEF must always treat its members fairly,” said USEF President Murray S. Kessler. “Late in the arbitration discovery process, the legal teams for USEF and Ms. Farmer and Mr. Glefke learned about errors in the laboratory’s handling of the blood sample in this case, that the USEF hearing committee was unaware of. Simply said, these errors were serious enough that we no longer can rely on the validity of the test and therefore, regret any negative impact that this had on Ms. Farmer and Mr. Glefke. All our members must be treated fairly. Ms. Farmer and Mr. Glefke are grateful that the USEF has agreed today to take this action—reversing their previous suspensions completely—but have issued this statement to clarify what has happened over the last year. For the last year, Ms. Farmer and Mr. Glefke have been convinced that the USEF GABA samples in this case were flawed and scientifically unreliable, at least as to their horse’s test in this matter. This was based on their never having administered GABA nor allowed it to be used with their horse and the aberrant test results. Through counsel they have sought detailed information about GABA and the laboratory tests on their horse. Although complete records were not immediately available before the USEF Hearing in June 2017, what evidence could be collected demonstrated a huge disparity in the GABA level detected in their horse’s samples, which called into question their test results. The USEF Hearing Panel rejected the then-available evidence in June 2017, but Farmer-Glefke continued to press USEF and its lab in the following months for additional information about what lead to the aberrant lab testing results. In December and early January 2018, the additional evidence was presented to a neutral impartial arbitrator from the American Arbitration Association reviewing this case. On Jan. 3, 2018, that arbitrator—Mr. Lawrence Saichek—reversed his previous ruling in favor of USEF and ruled that evidence had convinced him that Farmer-Glefke would likely prevail in their challenge to the suspensions. Accordingly, he lifted the suspensions immediately until the final hearing could be held in February. Today, USEF has accepted Farmer-Glefke’s compiled evidence of errors that occurred in its laboratory and agreed to completely and immediately rescind the suspensions of Ms. Farmer and Mr. Glefke and drop the case against them in its entirety, effective as of the original date of suspension, July 1, 2017. Even more importantly for USEF and its many members, USEF also announced that it was going to conduct “a thorough compliance audit of the laboratory” and pledged that it will take “any necessary corrective action” to ensure that what happened to Ms. Farmer and Mr. Glefke never happens again. Ms. Farmer and Mr. Glefke greatly appreciate USEF’s planned corrective actions that should lead to a better laboratory process, which ensures fair regulation and makes the treatment they received for the last year impossible for other USEF members to have to endure. 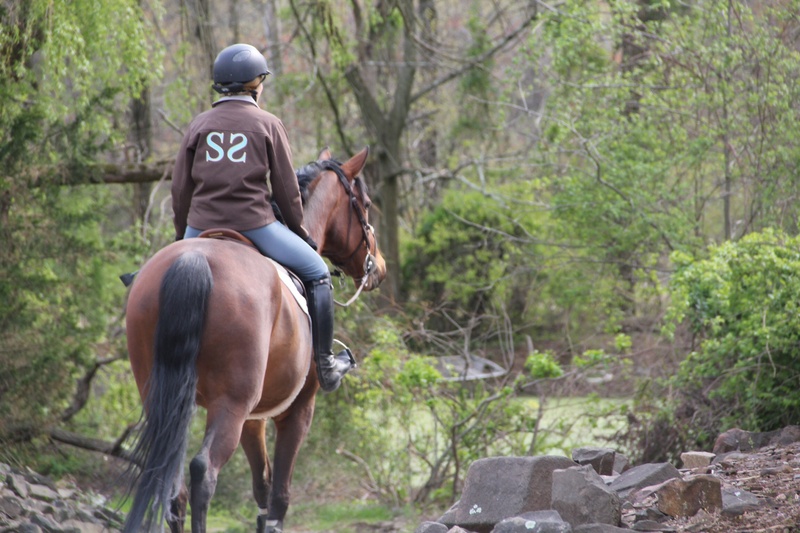 Horseback riding in New Jersey: Lessons are better than a trail ride. This is one of the most common questions we are asked. 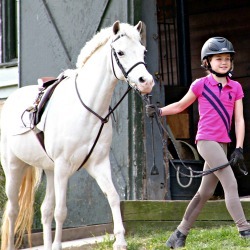 Many people who are interested in horseback riding in New Jersey are not interested in taking a lesson, even if they have very little riding experience. Oftentimes, they are disappointed when we tell them we do not offer trail rides or riding of any kind on our horses unless it is in a riding lesson. Here some reasons why you can’t just come ride a horse at Someday Stables. There are many reasons why we only offer lessons but safety is the primary one. Horseback riding is an inherently dangerous activity but we do our best to make to it as safe as possible. We do this by providing one on one instruction to all of our riders, allowing us to ensure riding is being done correctly and no unnecessary risks are being taken. We also know our school horses inside and out. If they look too energetic, we can lunge them or structure the lesson according to how the horse is feeling that day. We care about our lesson horses. They are the backbone of our program and we strive to provide the best quality lesson horses and ponies in northern New Jersey. Great lesson horses stay great through constant training and correct, kind riding. 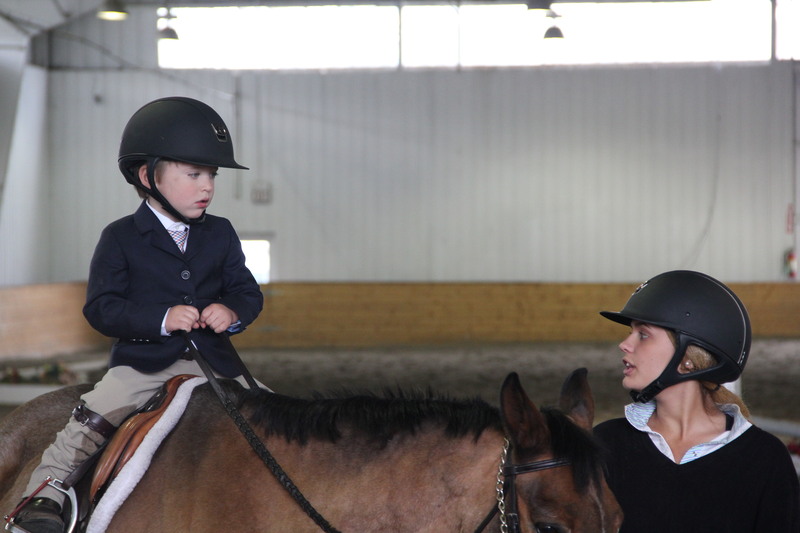 Every ride on every school horse in our stable is carefully supervised in our lesson program. In this program we are confident that our lesson horses stay responsive, safe, and happy to do their jobs. There is an inherent risk in riding horses. Our goal is to provide a safe environment for everyone at our stable. When a rider is riding in an unsafe manner it not only puts that rider at risk, it puts all riders at our stable in harms way. For this reason, our insurance provider does not allow Someday Stables to permit beginner riders to ride our stable owned horses if they are not in a supervised lesson. 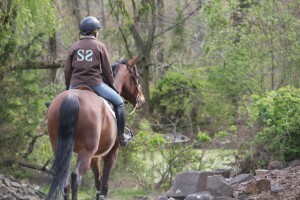 If you are interested in horseback riding in Northern New Jersey, consider taking a lesson. Instruction helps you get the most out of your time in the saddle. 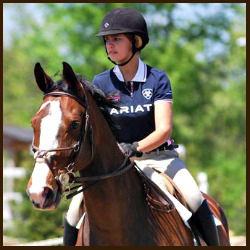 Our highly qualified instructors make sure you have a great ride that is beneficial to both you and the horse.